Wow, Mad River stepped it up last weekend, lots of new features and well groomed. 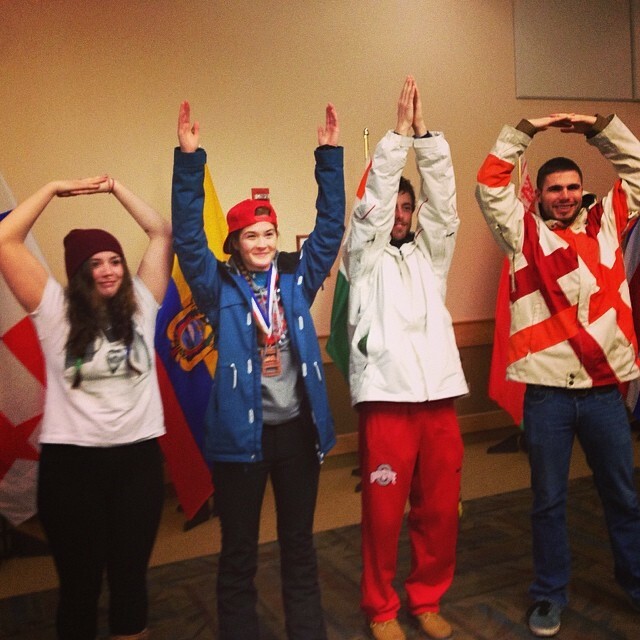 The Ohio State University's USCSA Nationals team, taking home a bronze in female boardercross and a gold in men's dual slalom!  with Hayley Hartman, Kelly McCary, Reilly Harris, and Michael Cox. Congrats Kelly and Reilly. Mike when you are 10 seconds in front of the rest of the field, you do not need to go faster, LOL. Pat is coming back!!! This man has a real passion for the sport, sign up now! Eric Shultz married Amy, and Doug Radefeld married Julia. 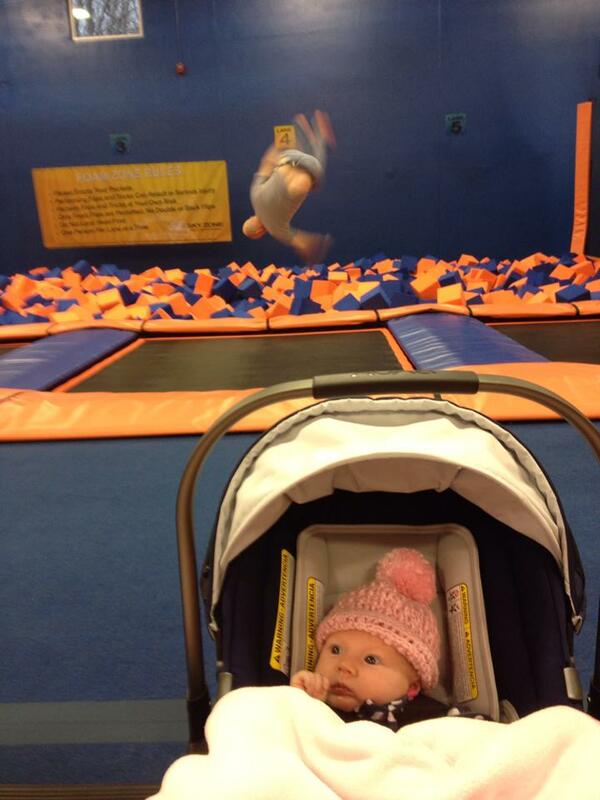 The Radefeld's had a baby Girl. Congratulations to everyone! Have you wanted to try out that sick new trick but just been too hesitant to try it on snow? Then the airbag is for you. Designed to give you a soft landing no matter what, the airbag is a great way for park riders to step their game up a notch by giving you the ability to push yourself with the forgiveness to screw up the landing! PARTICIPATION: Air Bag participation is open to the public. A valid lift ticket and signed waiver are required for participation. *If your 17 or under, a parent or guardian need to sign. Bag hours are tentatively scheduled and are dictated by weather & crowd. 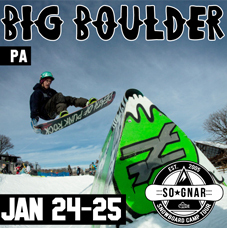 The Big Air competition returns for this sophmore leg of the event series. Once again Mad River offers the best spectator-friendly venue for this exhibition of aerial skills. Guests can sit back on the Loft Deck or patio, or look down from the Four Star Quad chair to watch competitors take flight from two huge kickers designed by Peak Resorts' Director of Freestyle Terrain and all-around park guru Elia Hamilton. Want to compete? Bring your A-Game and throw it down to try and get a piece of the cash purse or gear prizes. 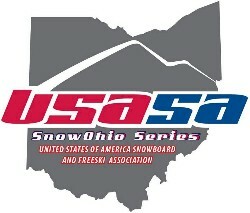 Participation requires a $$$ registration fee and waiver to be signed by all competitors 18 & up. Competitors under 18 must have waiver signed by parent or legal guardian. Mad River offers the best spectator-friendly venue for this exhibition of aerial skills. Guests can sit back on the Loft Deck or patio, or look down from the Four Star Quad chair to watch competitors take flight from two huge kickers designed by Peak Resorts' Director of Freestyle Terrain and all-around park guru Elia Hamilton. Want to compete? Bring your A-Game and throw it down to try and get a piece of the cash purse or gear prizes. Registration is $10 for the event with cash & prizes from sponsors: Aspen Ski & Board Company, Smith Optics, Never Summer Industries, Neff, Capital Park, Monster Energy, & TheNorthFace. REGISTRATION: 10AM - 12PM MAIN OFFICE $10 - All competitors must sign a waiver. COMPETITION: 2:00PM - Ski Amateurs / Board Amateurs / Ski Pro / Board Pro Competition will rotate through competitors in number order. Amateurs will have two runs. Pro Division 3 runs. Best Score Taken.